In addition to birding as much as I can and my full-time job in Okaloosa County, I also work part-time for Voices for Biodiversity, an online magazine. If you’re like me, you’ve been a bit unsettled by the recent anti-environment rhetoric thrown around the American political arena, but Voices for Biodiversity (V4B) is adding more pro-conservation voices to the conversation by funding up and coming researchers and writers from around the world. To that end, they have launched a Kickstarter campaign to fund ten, full-length, multi-media articles from across the globe (in a style similar to this). If you’re thinking about giving a gift for #GivingTuesday, consider V4B! All gifts are tax deductible and will be matched 1:1 by the Blackstone Ranch Institute. 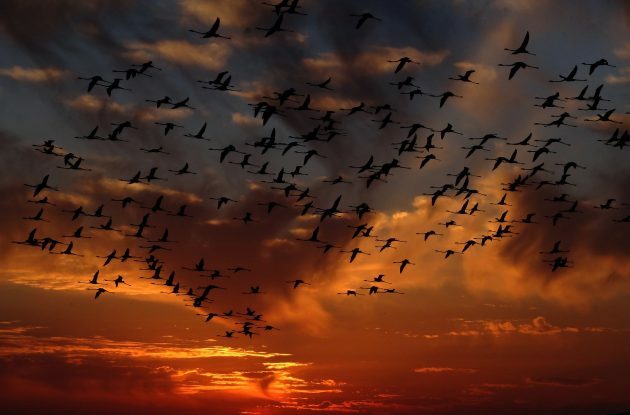 In the past, V4B has published stories about avian field work in Colombia, counting shorebirds along the Florida coast, and so much more (over 200 in all!). One of their upcoming articles will focus on the effects of the bird pet trade in Indonesia, but if readers from 10000 Birds give at least $1,000 in the crowdfunding campaign, they will add an additional bird conservation story to their roster! Gifts large or small would make a huge difference. Feel free to let me know if you have any questions in the comments below. Do you have story ideas? Awesome! Leave them in the comments or email me at oneworldtwofeet@gmail.com. 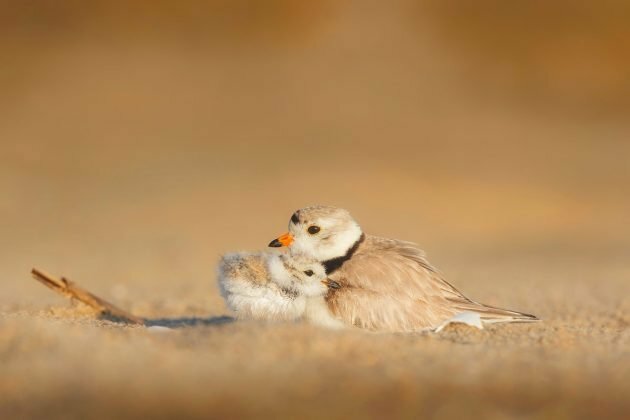 A plover and her chick. All are matched 1:1, so your gift is doubled! You all are the best and thank you a ton for your time!